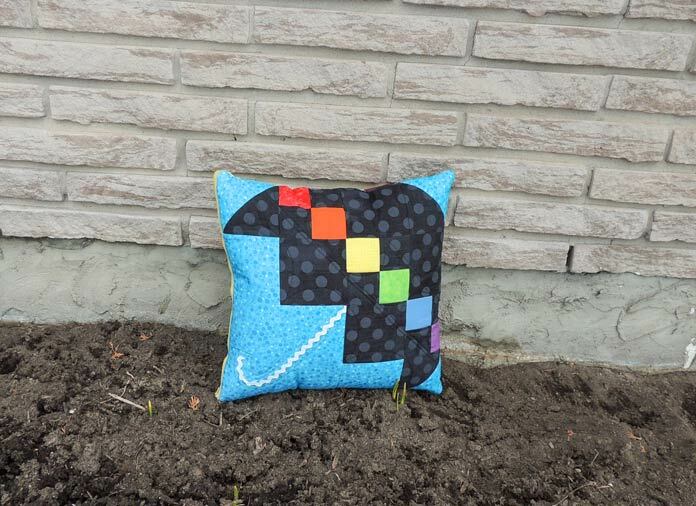 Creating designs with the stitches on the PFAFF quilt expression 720 is slowly turning me into an ’embellish-er’. What can I say? I haven’t found a stitch I don’t like! In yesterday’s post, I completed my quilter’s name badge. For that project, I tried out one of four alphabet fonts included on this machine and used the floating stitches technique. 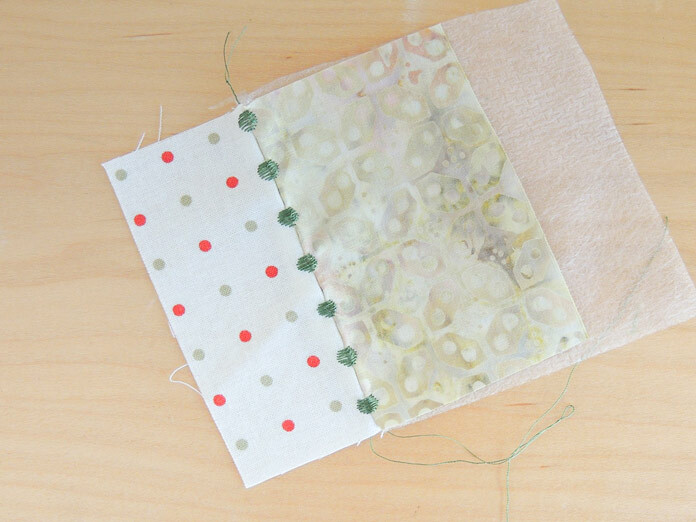 In this post, I’ll show you some of the stacking stitches that are available on this machine too! This week I’ve been exploring some of the stitching techniques available on the NEW PFAFF quilt expression 720. In yesterday’s post, I started to make a quilter’s name badge. I listed the fabric requirements based on my badge and invited you to join me! Today I’ll show you how I completed my name badge. Sometimes it’s worth the wait! I’ve been planning this project for a long time. In yesterday’s post, I tried out the floating stitches, one of the stitch techniques available on the NEW PFAFF quilt expression 720. 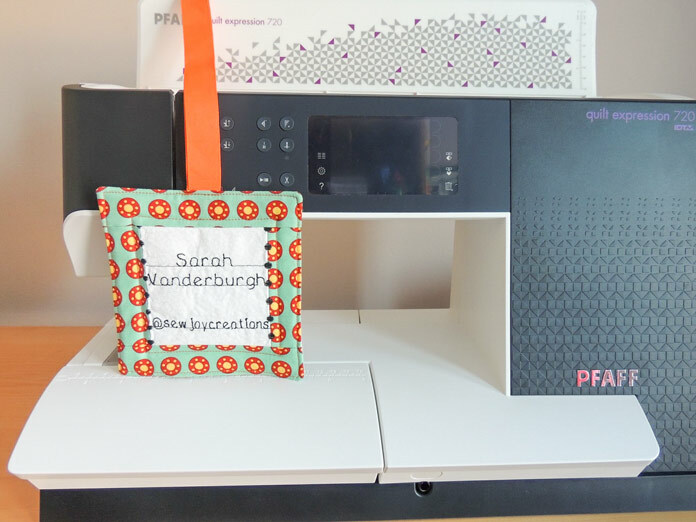 In this post, I use one of the fonts included on the machine to start making my very own quilter’s name badge! 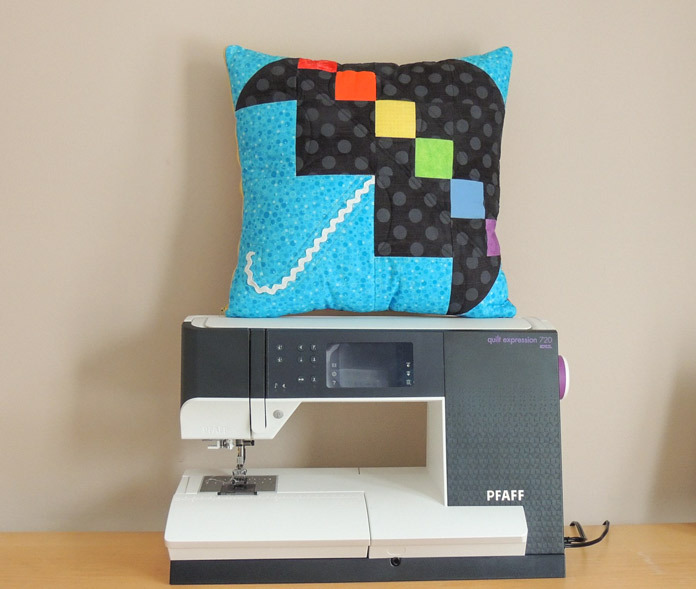 There’s more to explore on the PFAFF quilt expression 720! 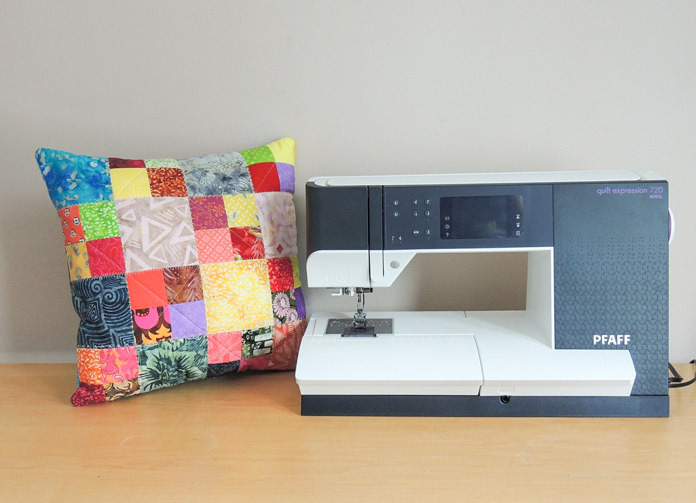 In yesterday’s post, I listed my top 5 favorite features of the quilt expression 720. Today I’ll show you one of this machine’s exclusive stitch techniques called floating stitches. I was really curious to try these stitches out because they DO really look like they’re floating. Only some of the stitching line appears on the right side of the fabric so it looks like they aren’t connected to anything. 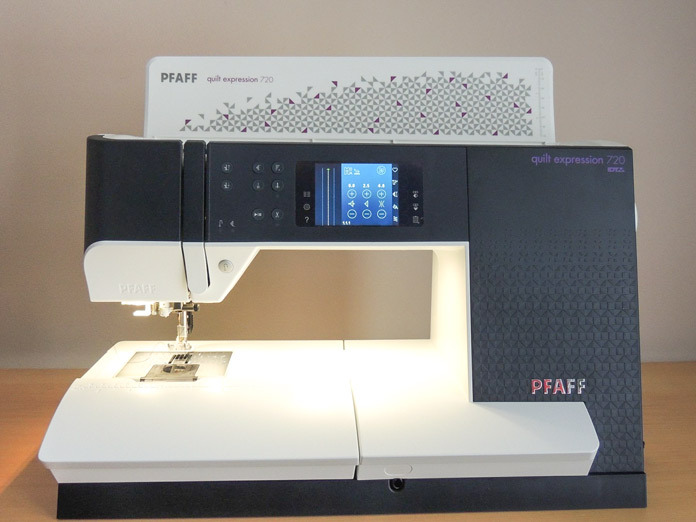 The PFAFF quilt expression 720 is the perfect combination of reliable features I expect when using a PFAFF and its creative possibilities. These possibilities are made possible by the myriad of exclusive stitch techniques and programs that enables you to create the quilts you want – and quilt them too! Welcome to an exciting week exploring the quilt expression 720! Here are my top 5 features to watch for on this machine.